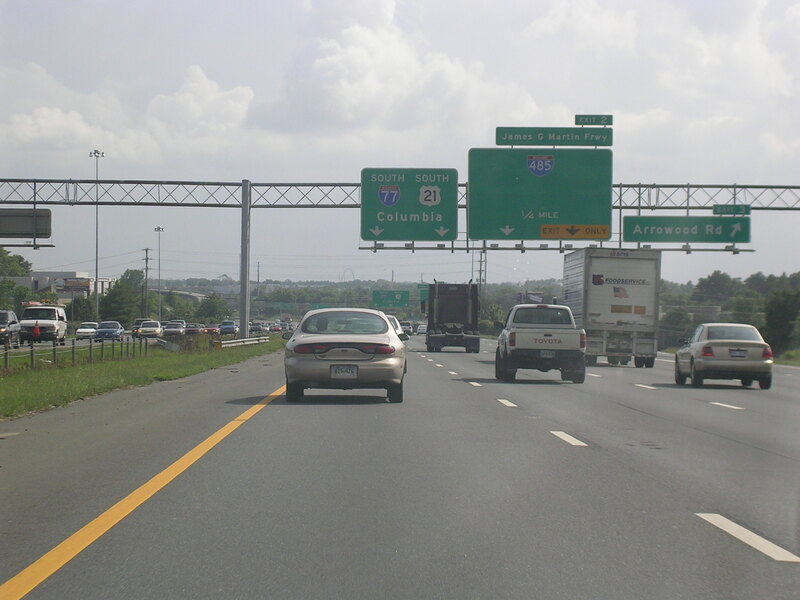 I'm daggone sure this is I-77 and I-81, which is a North-South wrong way multiplex in the finger of Virginia. 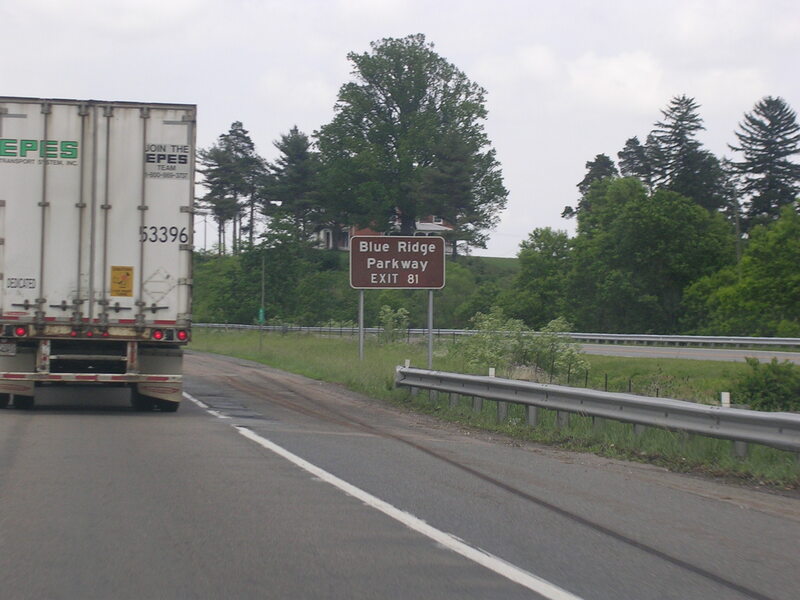 One of these days I'm going to drive the Blue Ridge Parkway. 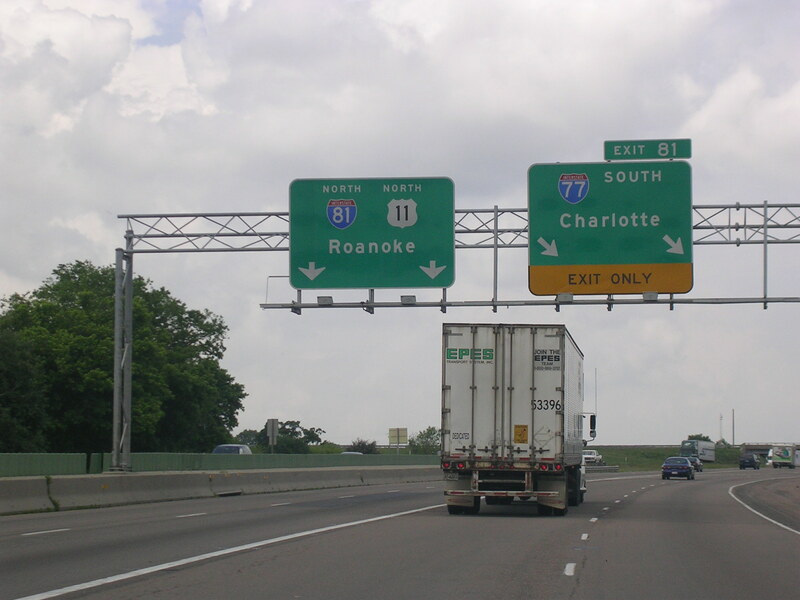 I-77 goes to Charlotte, as this unnecessary two-sign assembly says. Couldn't they find a big enough BGS? 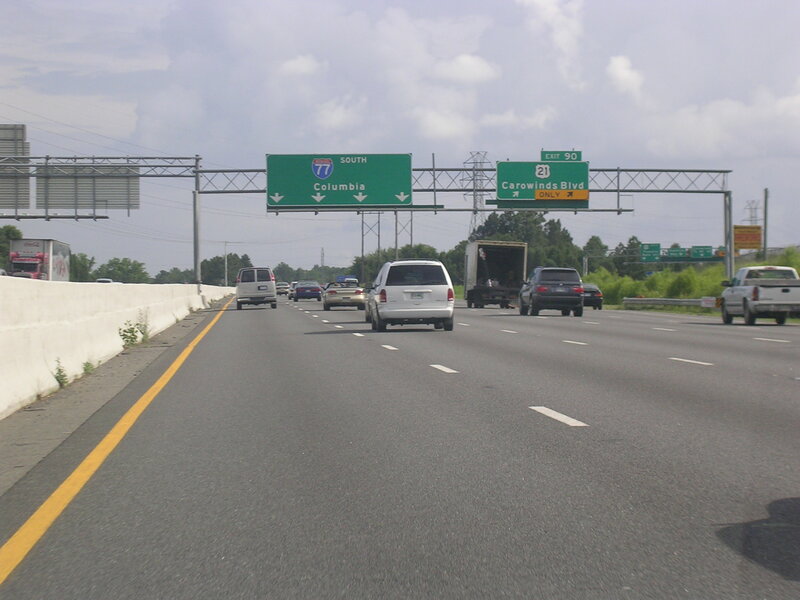 Here's the split of I-77 and I-81. 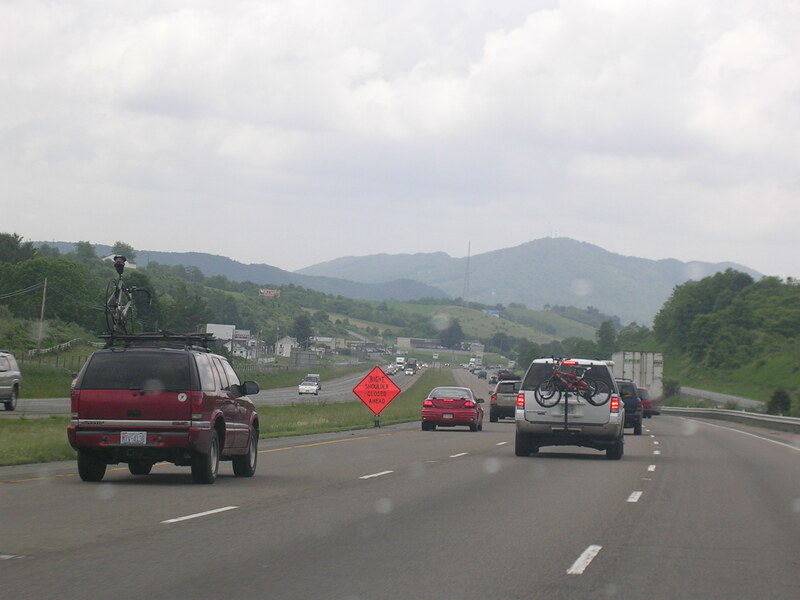 At US 58 and US 221. 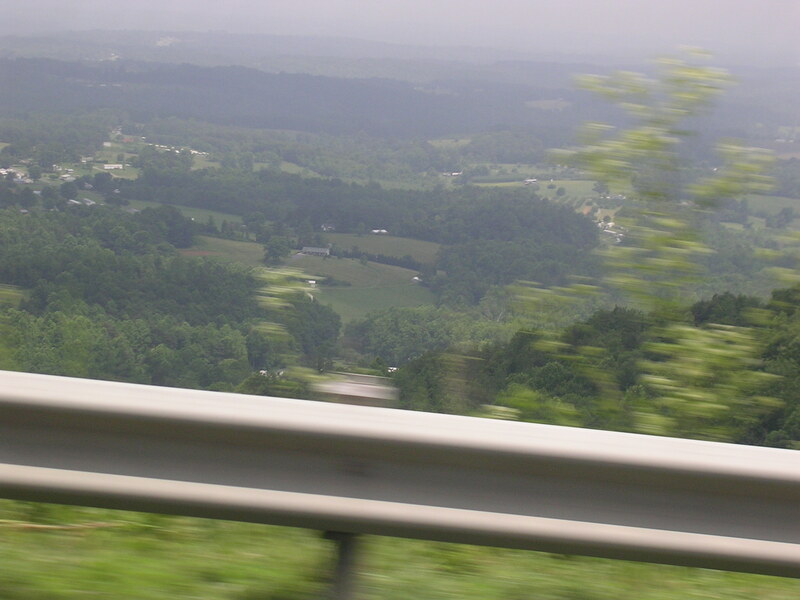 A rural scene. 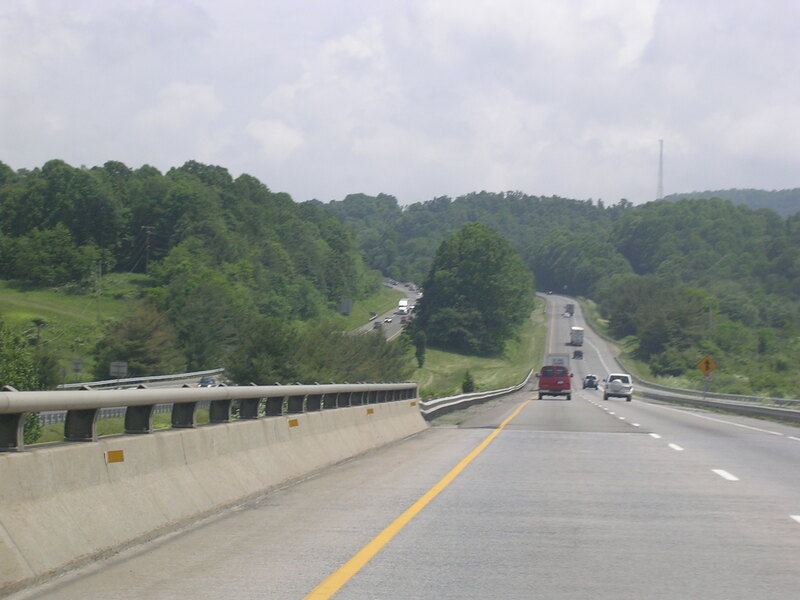 This is the coolest part of I-77, where the interstate runs along a ledge looking over a wide valley. There's fog and everything! 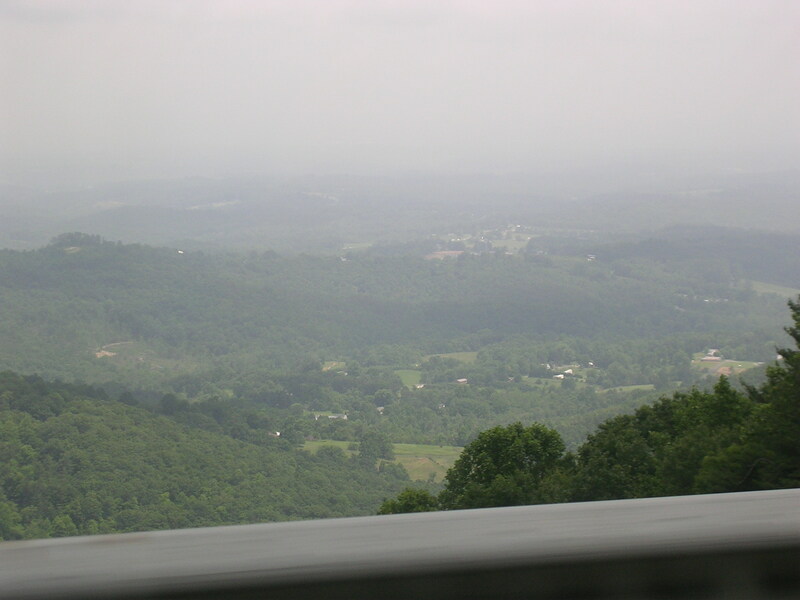 There's the valley. And there's the fog. 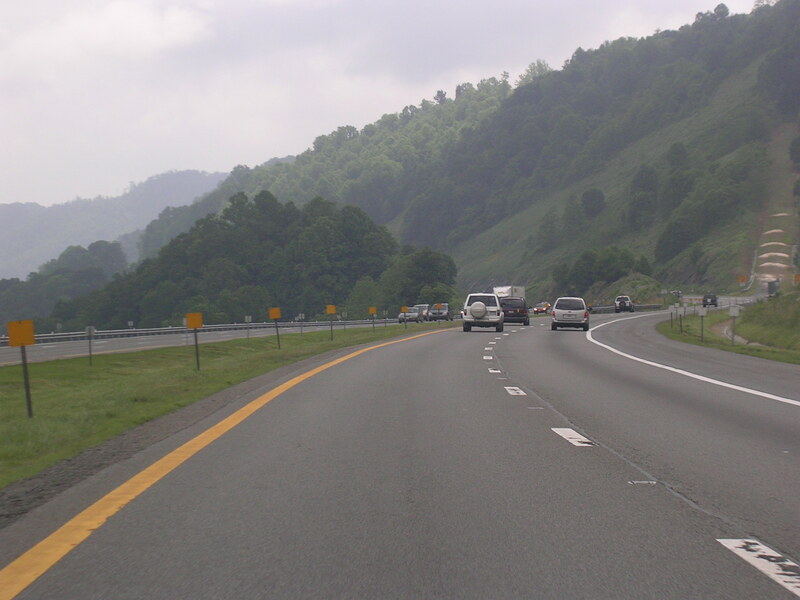 The road is kinda curvy here, too. There's that valley again! 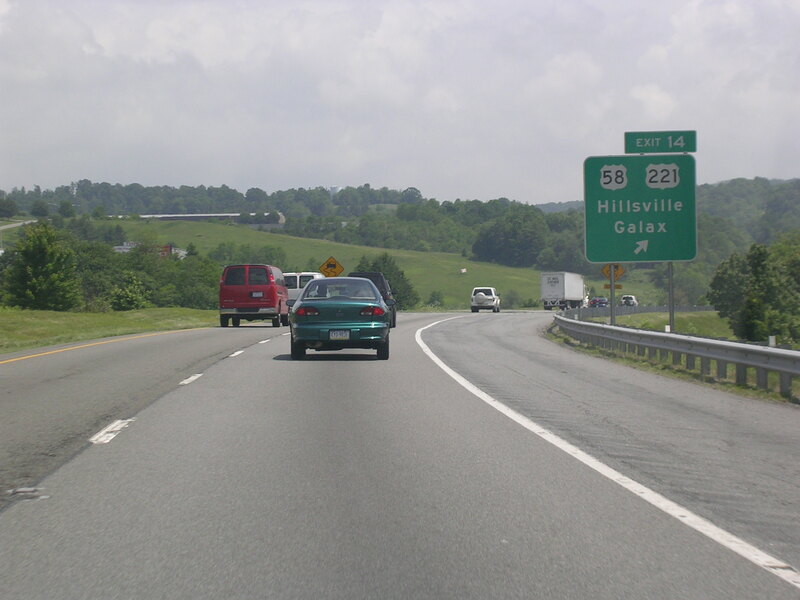 The last exit in Virginia here, at Route 620. 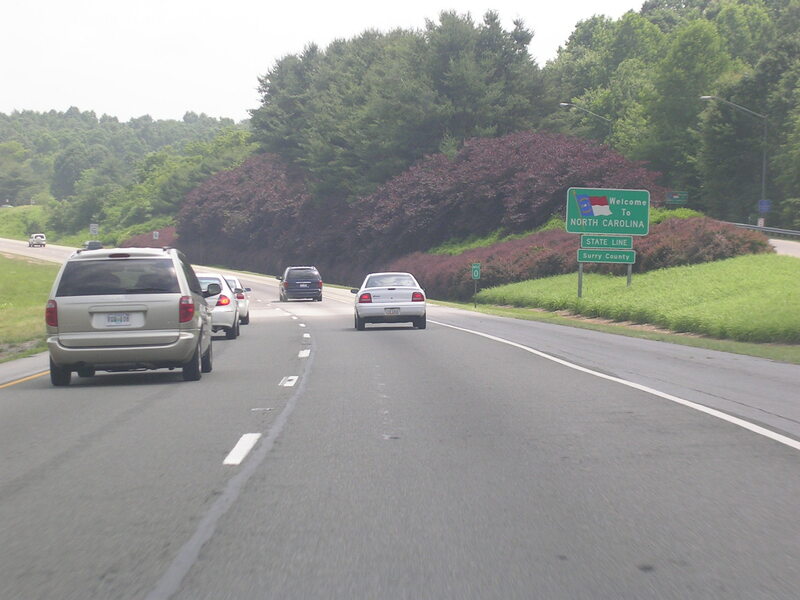 Entering North Carolina. 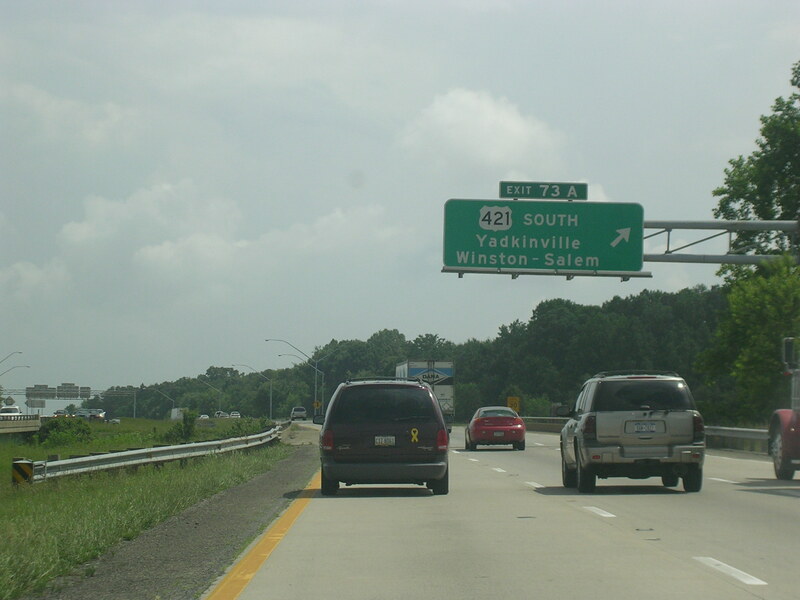 I-74 mysteriously appears here, after taking a break since Cincinnati. 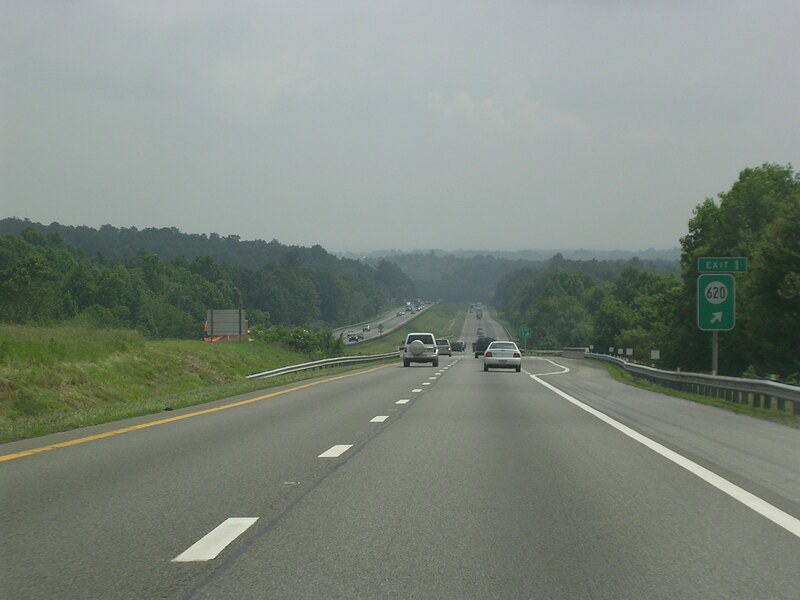 Approaching the Winston-Salem area. 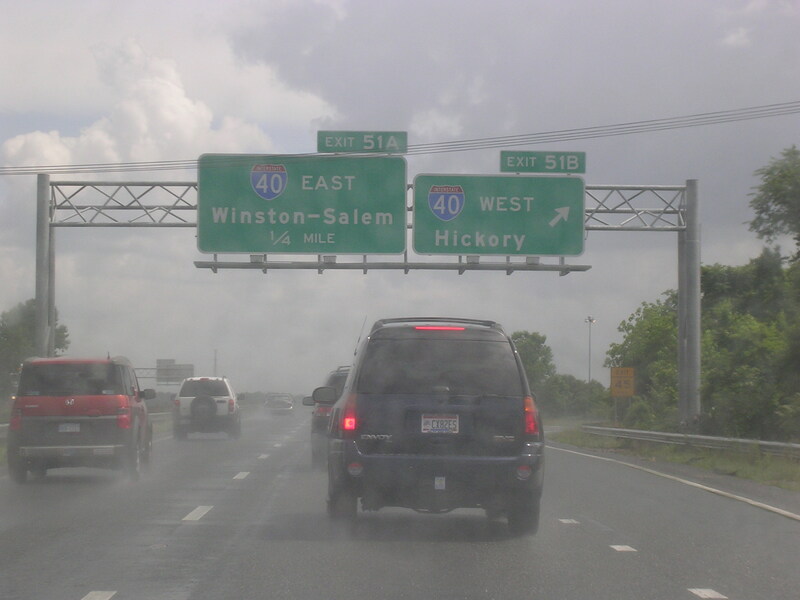 It got a little rainy near I-40. 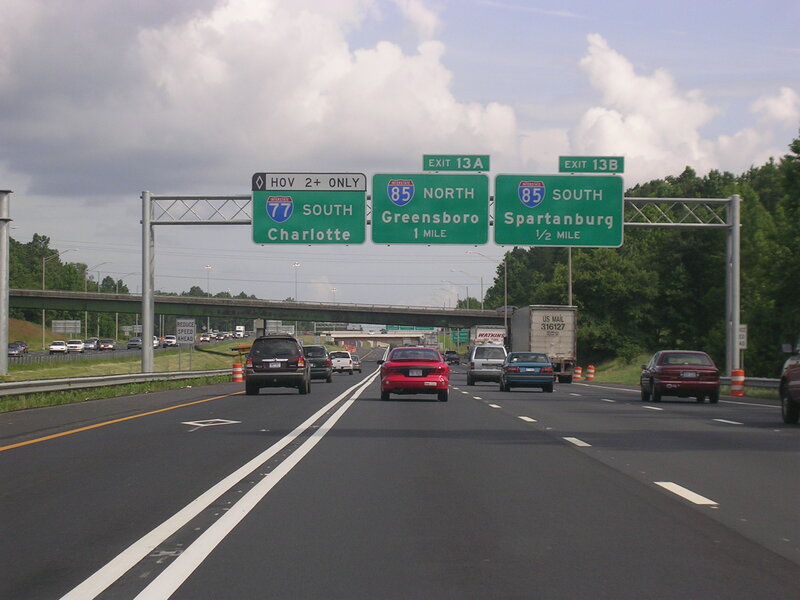 But it dried out in time to hit Charlotte, still on I-77 SB. 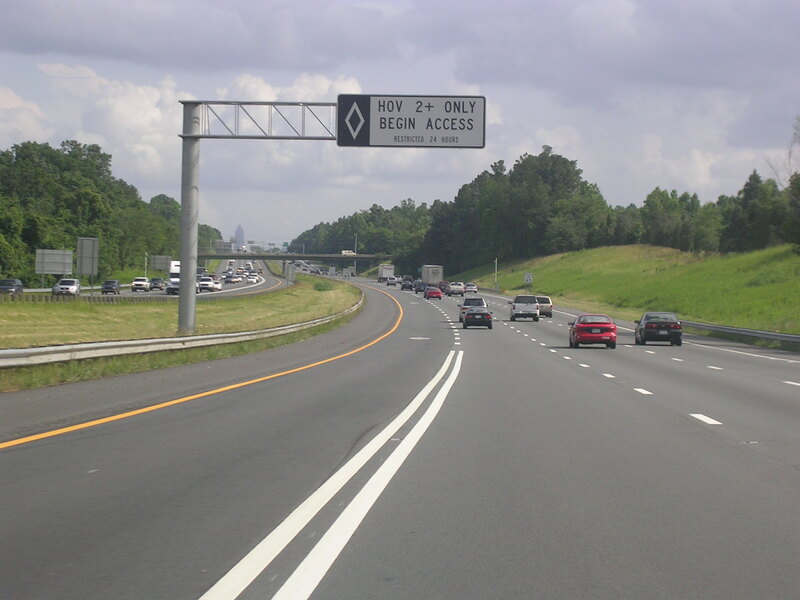 Charlotte has an HOV lane. You can see the skyline from here. Barely. 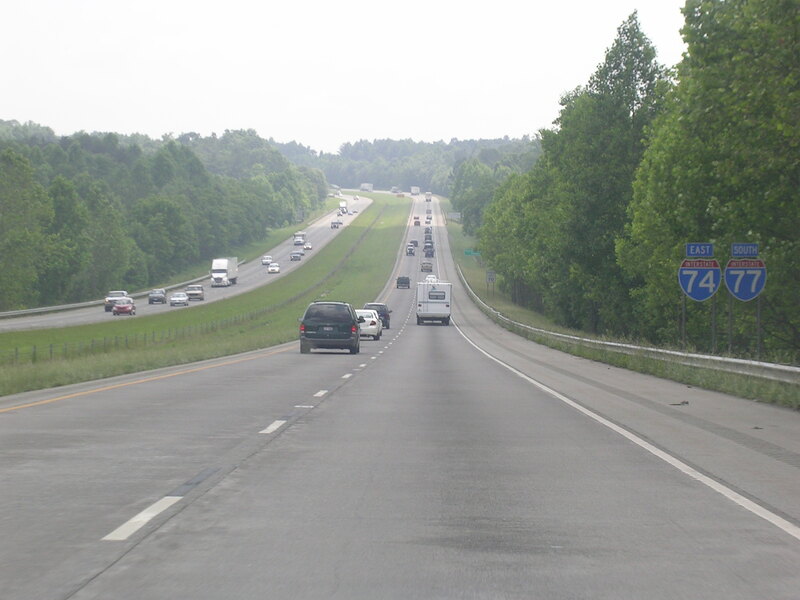 I think NCDOT did a fine job with designing this part of I-77. Although it still is a bit crowded. There's a wider view of the skyline. 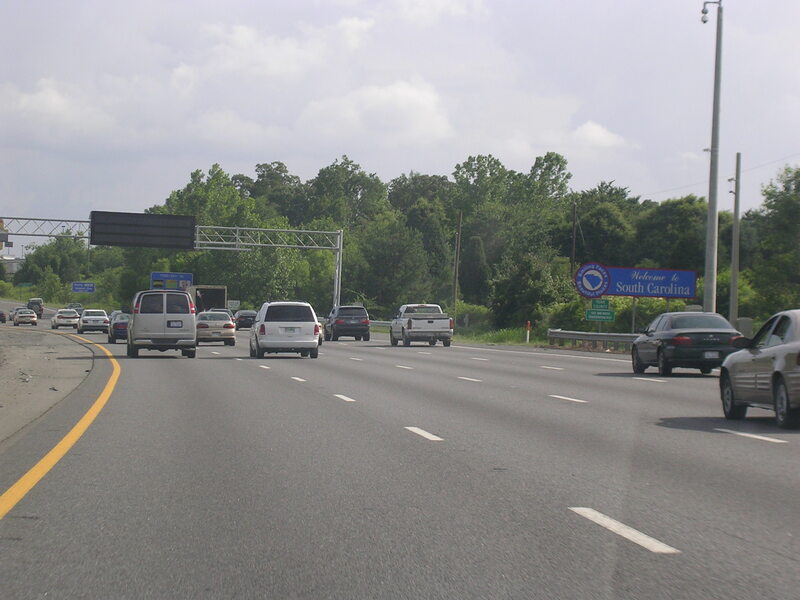 Getting to I-277, not the same one as in Akron, OH. 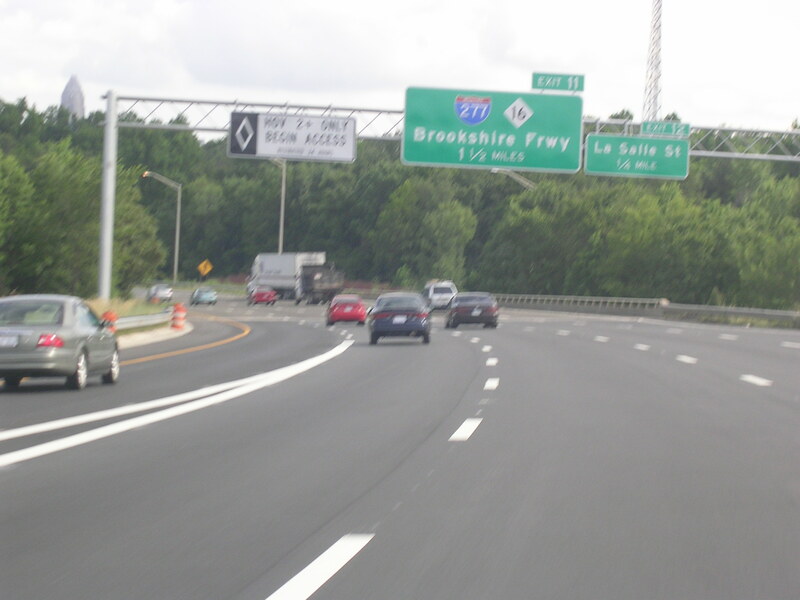 Blurry shot of I-77 and US 21 SB shields. 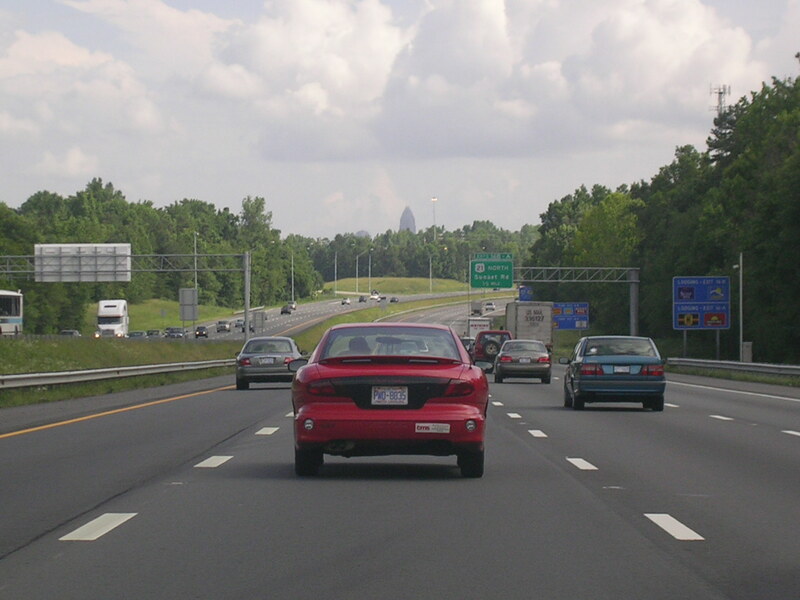 A close-up shot of the Charlotte skyline. Hmmm. 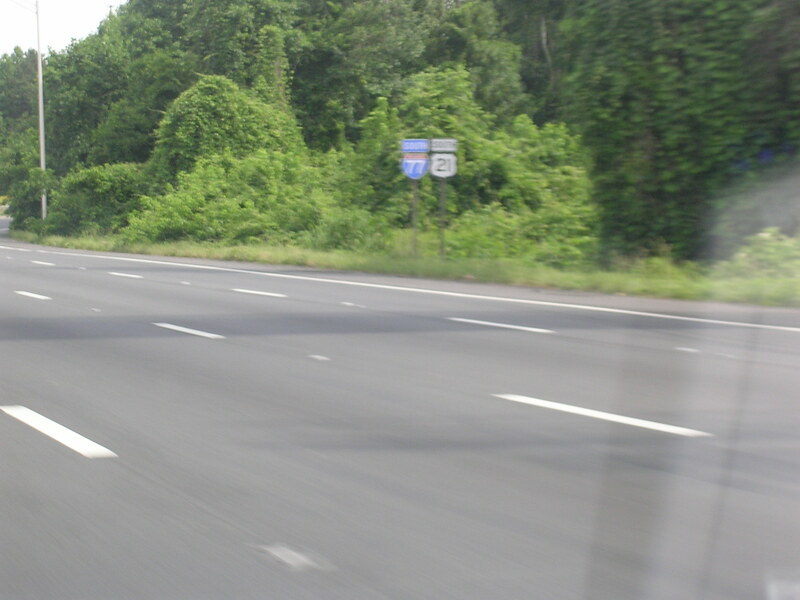 They got rid of the HOV lane without me noticing. 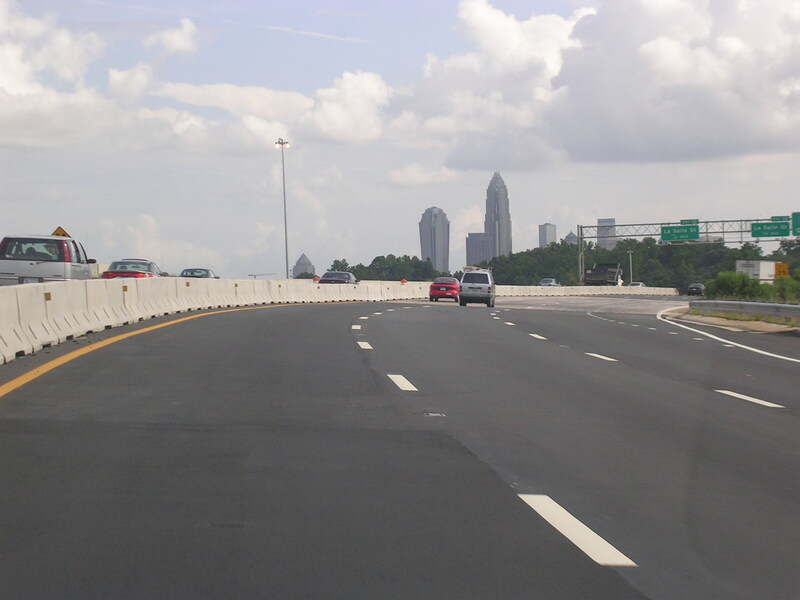 A big, empty BGS for I-485, which currently is not complete. 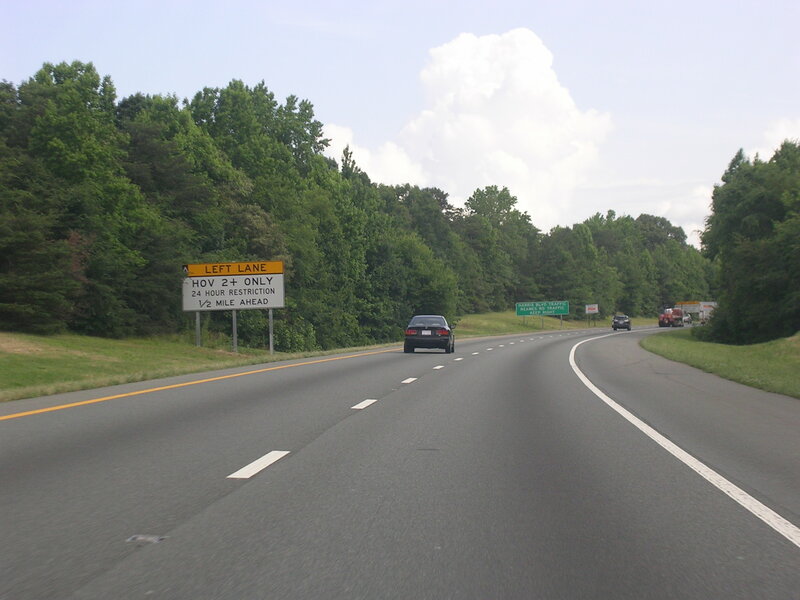 Big flyover ramps for I-485 about a mile north of the SC line. 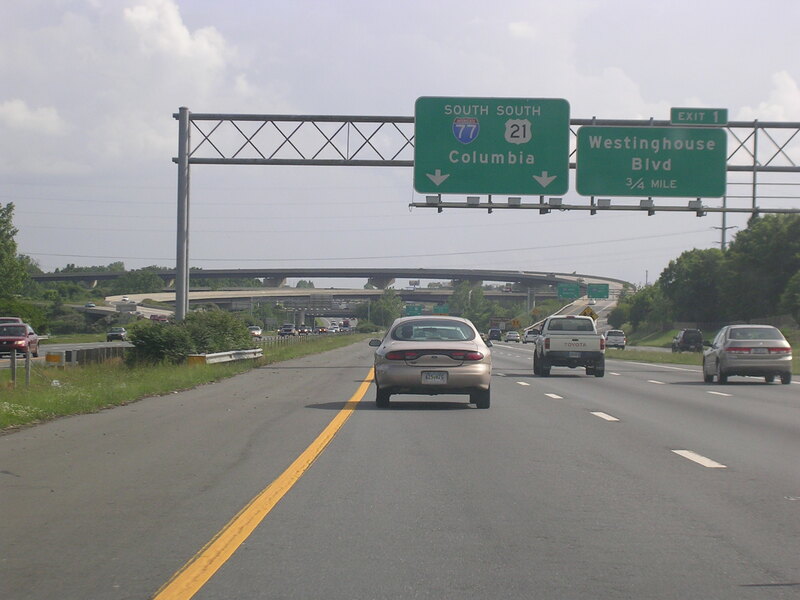 South Carolina's portion of I-77 in the Charlotte area is just as wide as North Carolina's. 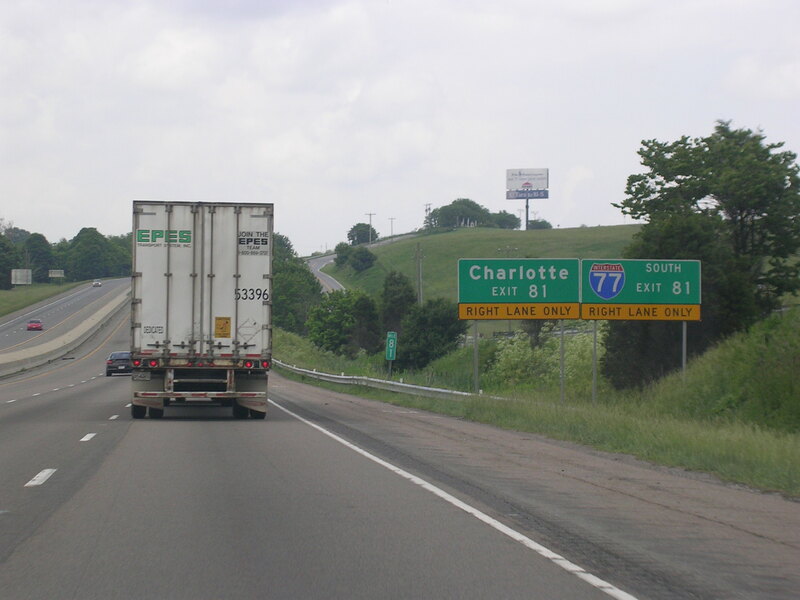 I-77 and US 21 go their separate ways.